The future of craft distilling may be in beer: So believes Clint Potter of The Seven Stills of San Francisco, a new craft distillery located, well, you know. 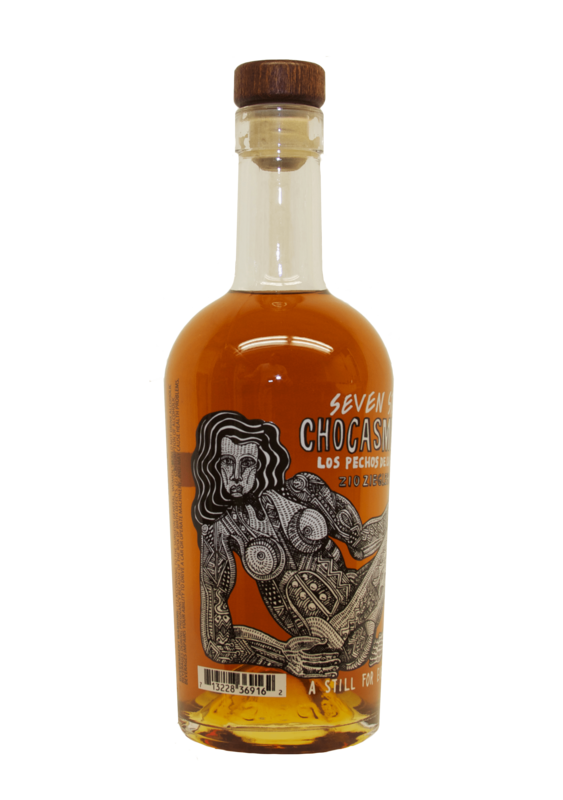 Seven Stills makes this unique whiskey — the first in its “Seven Hills” series — from actual beer (much like Charbay and a few others): a chocolate oatmeal stout to which they’ve added 20% peat-smoked malt. Hence the choca, and hence the smoke. The finished product is aged for 6 months before bottling. The driving idea: Make a whiskey that still contains the essence of the beer from which it was made. This is really interesting, exotic stuff. The nose is youthful and grain-forward, typical of young craft whiskey, but the peat is unmistakable. I was immediately reminded of some of Lost Spirits’ whiskeys, namely the youngish Seascape. The hints of chocolate on the nose are immediately present on the tongue. Here the very essence of the chocolate oatmeal stout is vividly on display, offering notes of cocoa powder, salted caramel, gingerbread, and well roasted grains. The seaweed/sea salt notes come on strong in the mid-palate, leading to a finish that nods both to Islay and its American home. There’s so much going on, it’s almost too much to explore in one go-round. The clearly young nose aside, it’s tough to believe this whiskey is just six months old. Can’t wait to see what these guys come up with next. 90 proof. 400 half-bottles produced (most are gone).